Lume Cube has announced Air VC, a new lighting kit designed to improve video conferencing and live streaming. Building on its Creative Lighting Kit solutions for photography and videography, Air VC is a versatile and portable lighting solution specifically targeted at users of mobile video conferencing technologies such as FaceTime and Skype. 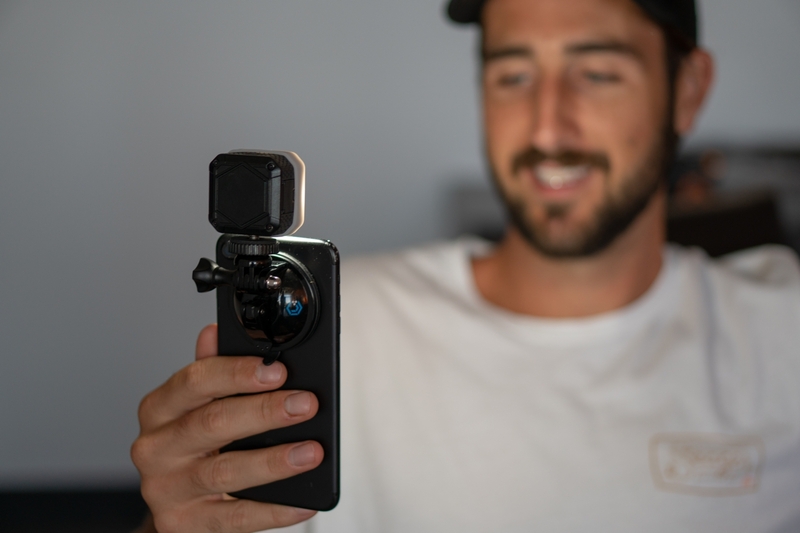 AIR VC provides an optimal combination of size, power, durability, and light quality, attaching easily to any iPhone, iPad, Mac, or other device with a suction cup while taking up minimal space and maintaining a low profile at only 1.6 x 1.6 x 1.1 inches and weighing only two ounces. Lume Cube Air VC provides LED lights with a CRI rating of +/- 90, a 5700K daylight balanced color temperature, and 400 LUX at 1M power, plus a custom Fresnel lens for improved light balance specifically designed for optimal facial illumination, with clean shadows and no hotspots. Included white and warming diffusers provide addition flexibility for a more professional look in different settings, and an internal battery allows Lume Cube Air VC to be used on the go, or connected to a USB power source for charging. Like the standard Lume Cube, the Lume-X iOS app allows users to control brightness, light modes, and more via a Bluetooth connection to the light. Lume Cube Air VC is available now from Lume Cube’s site and other participating retailers for $80.